Stanford-bound senior Liam Anderson of Redwood (NC) is one of the elite runners in the U.S. Anderson is a three-time NCS champion, the defending CIF-State Champion, and someone whose goal is to improve by two places his 2017 third-place finish at Nike Cross Nationals. Repeating as champion here is as much a goal as it is a warm-up for NXN. Only three others have defended titles in Division III since the beginning of the State Meet format in 1987, Jeff Wilson (Newbury Park, 1990-91), Aidan Goltra (Campolindo, 2012-13) and Austin Tamagno (Brea Olinda, 2014-15). Anderson's winning time on the 5K Woodward Park course at the early-October Clovis Invitational of 14:57.80 improved on his State-leading time of 15:10.30. Anderson's Clovis time is a CA-leading best, regardless of division. And it's comfortably out front of some of his closest competition in D-III, including Alex Cuevas, a junior from Ridgeview (CS), whose best is 15:13.00, and senior Garrett Gough, a senior from Nevada Union (SJ), whose 5K best is 15:13.90. 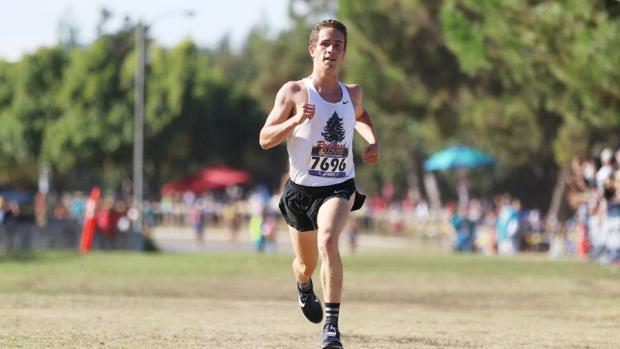 Though not among the 5K leaders, CA's 3-mile leader, Kevin Ramos, is a two-time Southern Section champion who has looked relaxed and measured in crushing the Riverside City Championship Course each of the previous two weekends. Ramos was third at State last year, 4.60 seconds behind Anderson. A couple of other individuals to watch include Chico senior Charlie Giannini, a two-time Northern Section champion, who was among the group of runners who helped Paradise senior Gabe Price gain a post-meet qualification after he was unable to compete as a result of the Camp Fire. Also, the Palos Verdes duo of Nate Lantz and Wade Nygren. Lantz was second to Ramos at the SS final, and the only other runner in the race to break 15 minutes, and Nygren, who has a sub-15 3-mile this season, overcame a brutal fall at the SS Final to rally back to make the difference in the team competition. The Southern Section team race was decided by one point with Palos Verdes defeating defending section and state champion West Torrance. Don't think for a minute that West isn't using every bit of that one-point loss as fuel for this week. Defense of a team title has happened four times by three schools since the addition of a statewide championship meet in 1987. Palos Verdes has won the state title twice, most recently in 2011. Last year's runner-up, La Costa Canyon, is now in Division II. Ridgeview put up 20 points in winning the Central Section title. El Capitan won the San Diego Section title. Nevada Union defeated Vista del Lago by just seven points in the Sac-Joaquin Section race. Canoga Park won the LA City Section. Greenfield rolled in the Central Coast Section, and Campolindo defeated Maria Carrillo by nine points for the North Coast Section title. PV is the only current section champion to have previously won a State Division III title.